If you’re researching Alaska for your upcoming vacation and come across the fact that there are a number of active volcanoes here, we understand if that could give you pause. What does it mean if a volcano is active? How close are volcanoes to where I’m traveling? What happens if one erupts? We’re here to answer those questions and assure you that despite the placement of where the Pacific and North America plates meet, you very likely have nothing to worry about. 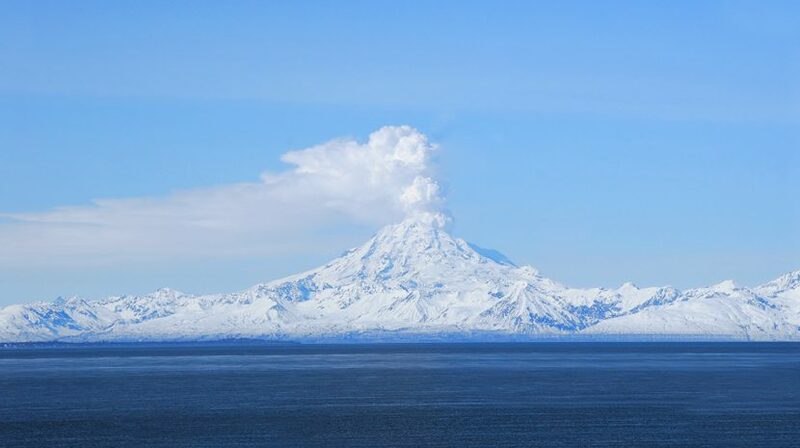 Q: What does it mean for a volcano to be active/erupting/dormant/extinct? A: Okay, let’s get some basic definitions out of the way so we can comprehend the more than 130 volcanoes and volcanic fields in Alaska that have been active within the last two million years. An active volcano is one that has had an eruption in the last 10,000 years. An erupting volcano is one in the midst of an eruption. Volcanoes that are not active but are expected to be again are called dormant. Finally, extinct volcanoes have not had an eruption for at least 10,000 years and are not expected to again. 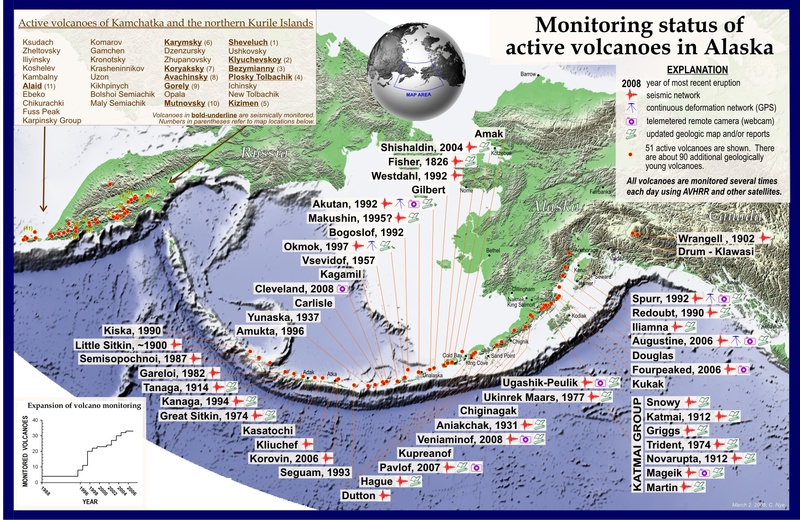 Ninety of Alaska’s volcanoes have erupted in the last 10,000 years and 50 of them have not erupted since about 1760. Q: Where are Alaska’s volcanoes located? A: Most of the volcanoes in Alaska are located along the Pacific Ring of Fire, which stretches from the south of Chile around the Aleutian Islands and into eastern Russia, then down to Australia. Alaska’s volcanoes are some of the most heavily watched because so many are quite active. Q: How often do they erupt? A: Data says that Alaska volcanoes produce between one and two eruptions each year. Charts show that since the 20th century, eruptions have increased but experts believe that’s simply because there are more people living in areas around the volcanoes and means of reporting and keeping data have improved. Q: What happens when they erupt? A: If a volcano erupts in Alaska and happens to be near enough to a populated area, the main result will be volcanic ash in the air. This can cause temporary airport and school closures because of poor air quality. Ultimately, the impact on daily life is fairly low. Volcanoes are fascinating, and if you’re itching to learn more, take a trip to the Alaska Museum of Science and Nature to find out some incredible facts about the state.